Small screens for the Raspberry Pi have been around for a long time, but they have all been tiny and not very easy to connect or use. But now the official Raspberry Pi 7″ capacitive touch screen has finally been launched, beating all the previous ones on both price, size and usability. As long as you are using the latest version of the official Raspbian, drivers come pre-installed, and the raspberry pi touch screen display is just plug-n-play. The touch screen is connected to the Raspberry Pi via the same type of ribbon cable as the Raspberry Pi camera. 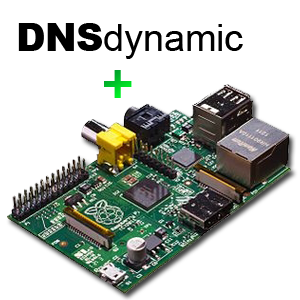 However, only the slot at the end of the Raspberry Pi, right on the other side of where the micro SD card is, can be used for connecting the official touch screen. Just like the Raspberry Pi, the touch screen can be supplied with power from a standard micro-usb smartphone charger. It only requires 500mA. In the box with the Raspberry Pi touch screen is also GPIO cables. If you want to power the display though the pins on the Raspberry Pi, you can use these cables. Note that this would most likely require you to get a 2500mA power supply, if you want to run both the Raspberry Pi and the touch screen on the same source. First impression of the screen is that it seems very bright and clear, even though the resolution is not even 720p. As a touch screen for use with the standard Raspian operating system on the Raspberry Pi, it is not really that optimal. But for many DIY projects controlled by a Raspberry Pi, this touch screen will significantly increase the wauw-factor. You can also make a custom interface for the touch screen. You can even have it control or monitor whatever devices you may have connected to the Raspberry Pi GPIOs. There are several ways to do this, but word is that Kivy is the place to start for Python coders. The 7″ Raspberry Pi touch screen can be ordered online at amazon.com and other shops. By Mikkel at May 1, 2016 .